While the age of current-gen console movie tie-in video games seems to be in the rearview when it comes to Marvel movies (at least for now), Gameloft is on top of a mobile option for Iron Man 3. Set for an April 25 release on iOS and Android (just about a week before the film's May 3 debut), Iron Man 3 - The Official Game will put players in control of the armored Tony Stark in a "fast paced endless runner" as he clashes with AIM in locations around the globe. The new mobile title follows SEGA's respective 2008 and 2010 AAA Iron Man and Iron Man 2 titles, which weren't necessarily beloved by critics. 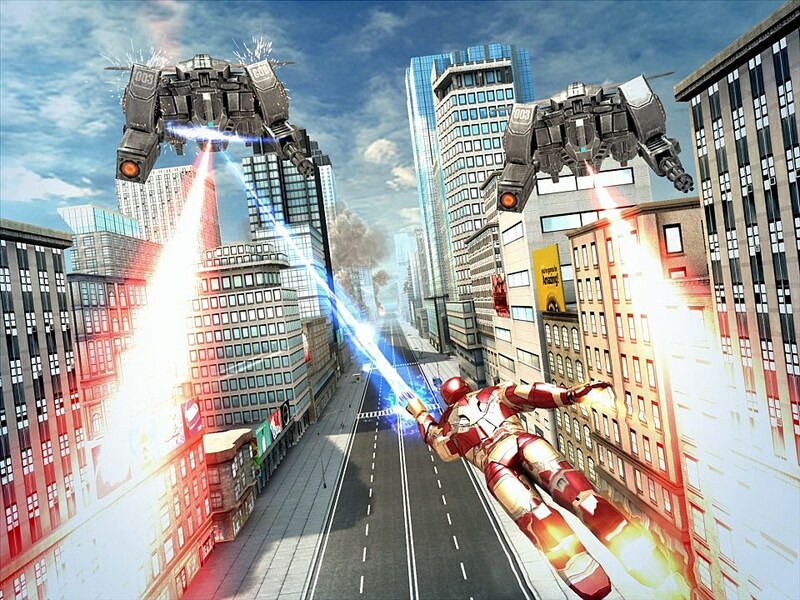 Paramount Digital Entertainment released its mobile Iron Man: Aerial Assault title on iOS to coincide with the first IM film, and later replaced it with a free "Lite" version in 2009. Gameloft took over the mobile market in 2010 with its Iron Man 2 3D adventure game, releasing similarly formatted mobile game tie-ins for last summer's superhero movies The Dark Knight Rises and The Amazing Spider-Man. It's interesting to see that Gameloft's taken a less ambitious gameplay approach with Iron Man 3, favoring the more simplified endless runner format. No word on pricing info just yet, but it seems likely that the new game will retail for less than IM2's $4.99. You can watch Gameloft's Iron Man 3 - The Official Game trailer below.